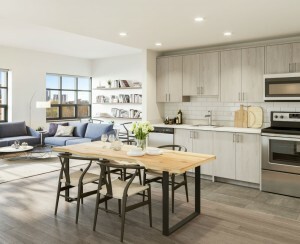 First-floor apartments—we're sorry, maisonettes—have recently experienced something of a renaissance (or at least, an upscale re-branding), but is this all happening just in time for them to be phased out of New York life altogether? On the heels of a new report from the New York City Panel on Climate Change, Wired has enumerated the ways our city's skyline and structures are likely to change over the coming decades, noting that "New Yorkers will first have to radically reinterpret how they use their basements and ground floors" by 2100, when sea levels could rise to as high as six feet. Theoretically, this means buildings in flood zones should re-structure so that apartments and important equipment like boilers are no longer on the ground floor. The idea here is to set up buildings "to let water move in and drain out with minimal damage." Indeed, in a 2013 report on post-Sandy infrastructure, the Center for Architecture recommended that in flood zones, residential floors should be raised 10 feet without incurring city penalties regarding maximum building height. "This would allow a full-height lobby and elevator, providing an accessible common entrance at grade for all residents, and use for storage or parking or community space," the report outlines. In other words, the lower levels would be re-purposed for non-essential functions like storage or common areas, whereas things like electrical equipment, in-building gyms, and actual apartments would need to be at a higher elevation. "For new construction that's going to be the standard moving forward that they're not going to keep things vital to their operation in the basement," says Michael Wyetzner of Michielli + Wyetzner Architects, who notes that large lower Manhattan institutions and many Wall Street buildings are already in the process of making these changes. After losing power during Sandy, NYU Langone Medical Center launched into a $250 million overhaul that included moving electrical and wiring components to higher floors. Granted, we're still a long way off from seeing the city's management companies unilaterally decide to scrap all ground-floor apartments. As Wyetzner points out, "I don't think it's a pressing issue for buildings that are farther inland" to eradicate any street-level apartments. 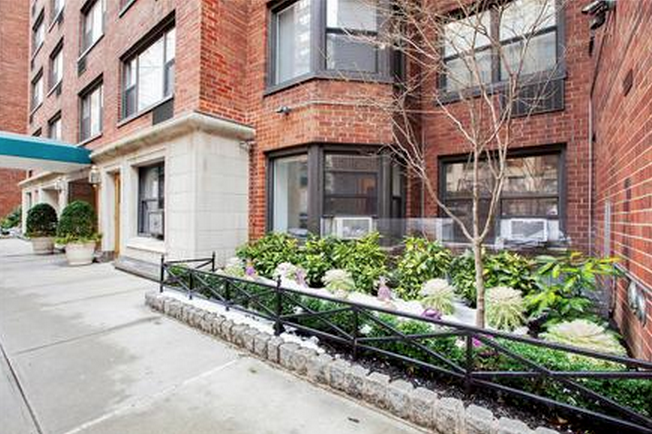 So for now—and especially for renters who don't have to worry about long-term property values—ground floor apartments are still one of the best deals to be had in the city. Even with upscale renovations, the Wall Street Journal points out that street-level apartments are anywhere from 15 to 25 percent cheaper than their higher-floor counterparts in the building. Landlords getting a new weapon in the fight against flood damage?